The iPhone 5S and particularly 5C (the colored version) did provide some new aspects but largely they were just the good ol’ iPhones in a new case with a new name. So it would be wise to suggest that iPhone 6 carries a lot of burden. And that Apple won’t ignore the heed of users to make some big changes. It's rumored that we'll be seeing a 4.8 inch display , this news comes courtesy of some supply chain leaks that fell into the hands of the Wall Street Journal. In simple words, the internet is going nuts with rumors, speculations, assumptions and lies. So we have taken the reliable news and separated it from mere speculation. Let’s begin looking at the facts and rumors objectively. Some recent reports and surveys conducted throughout the US show that iPhone 6 is the most anticipated iPhone of all times. If you thought the excitement and the buildup to iPhone 5S was great, then you are in for a big surprise! There were similar rumors in 2013. Many thought that iPhone 6 would debut that didn’t happen. Historically, since the 3G came out, it has been a trend that the “S” model always comes up between the releases to two ‘whole numbered’ iPhone. So now in 2014, the platform is all set. We can be sure to see the release of iPhone 6 in 2014. According to many reliable sources, it has been learned that Apple’s main iPhone manufacturing partner Pegatron have already started manufacturing the hardware of the phone. It has been learned that they are not giving official statements due to some legal (or presumably commercial) reasons. 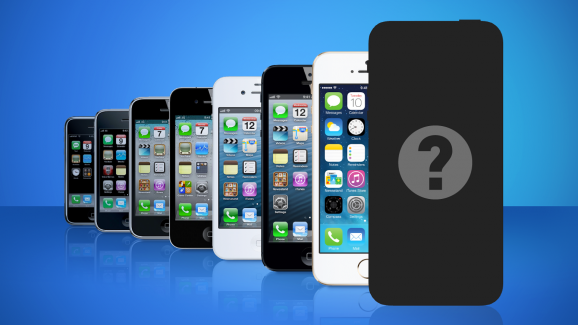 One thing we are sure about is that iPhone 6 will definitely debut in 2014. All the evidence, rumors, history, statements and market strategies suggest that iPhone will be released this year. So it is only the matter of confirming the date. It is still unclear that what will be the release date of iPhone 6, even which portion of the year can we expect is not final. The other thing we can surely say is that Apple would definitely step up their game. Apple know very well that they are going up against Samsung Galaxy S5 and HTC One M8, so they have to come up with something ‘daunting’. It is no secret that Android and Windows 8 phones have downed the popularity of iPhone. And Apple haven’t helped their cause by holding back major changes. So now is the time to regain the lost glory for Apple. All the experts with inside connections are pointing to the fact that iPhone 6 is going to be a major diversity amongst iPhones. Many believe that iPhone 6 will have a bigger screen. It is a must if you ask me. Only a bigger screen can give iPhone 6 a chance to compete alongside Android and Windows 8 giants. So the expectations of a big screen are very reasonable. We can expect a major design revamp as well. Many say it would take out the value of the iPhone design – “it’s a vintage, it’s a classic!” agreed, but it is also getting old. In tech industry things move very fast. And Apple’s rigidity is seen as one of the most common causes of iPhone falling behind Android. Some techies are suggesting that we may see a bigger iPhone with many ‘Samsung-like’ features. It is rumoured that iPhone 6 will cost a lot. In fact, I would bet my life on this “rumor”. It is not a rumour; it can be classified as a fact about iPhone 6. Jokes apart, you can expect premium pricing for iPhone 6 – not just in US but anywhere in the world. Author Bio: Nuur Hasan is a software developer. His interests include gadgets, technology, mobile phones, apps, social media and other things that are related. He believes that sharing experiences can really make a difference. That is the reason why he blogs in his free time.